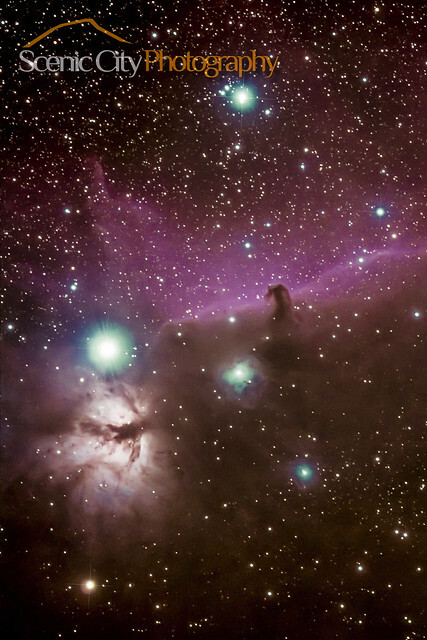 Horse head & Flame Nebula. 41 lights & 41 darks @ 3 minutes each, ISO 800 on a Hap Griffin modified 60d. Around 4 hours total integration, 2 hours on each setting. Taken with a CGEM Mount & a Skywatcher 100mm Esprit. Edited in Deep Sky Stacker, & PS. Awesome work, the time you invested more than paid off!! More that 4 hours of shooting and then God knows how many hours in post processing! You must be a nocturnal life form. One of the best shots of this phenomenon that I have ever seen. Truly, a labor of love. Well done! StillCrazy - after all these years. Thanks everyone! Definitely a labor of love considering it I drag it around an hour away from home and it weighs around 200 total pounds lol.